Nation of Islam leader Louis Farrakhan ripped Obama for “failing inner city blacks” in his latest sermon. 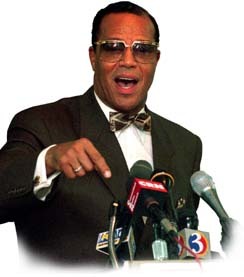 Farrakhan said, “So you Democrats, you been in their party a long time. Answer me, what did you get? You got a president. He is worried about his legacy. You want Hillary to get in to protect your legacy because Trump said the minute he gets in, he is going to reverse the Affordable Care Act. Because that is your signature achievement. To show you how hateful the enemy is, he hates that you achieve what you did achieve. So he said I’m going to tear it up when I get in. So he don’t want his legacy destroyed. Mr. President, let the man do, if he get in, what he wants to because he is not destroying your legacy. If your legacy is bound up in an Affordable Care Act that only affects a few million people and they are trying to make it really difficult for those of us who signed up, that’s not your legacy.